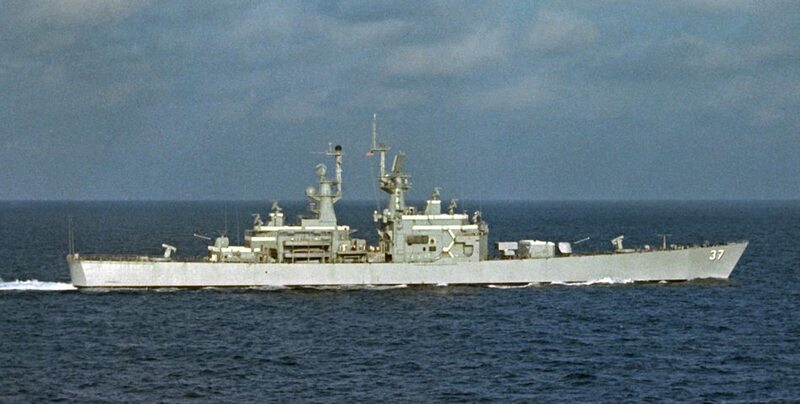 This class was the first class of nuclear-propelled surface warships intended for series production. 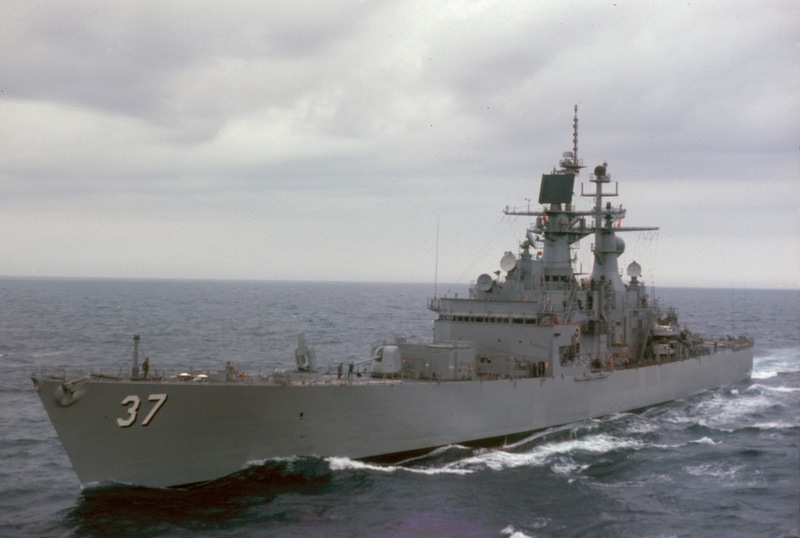 However, only two ships of the class were built. 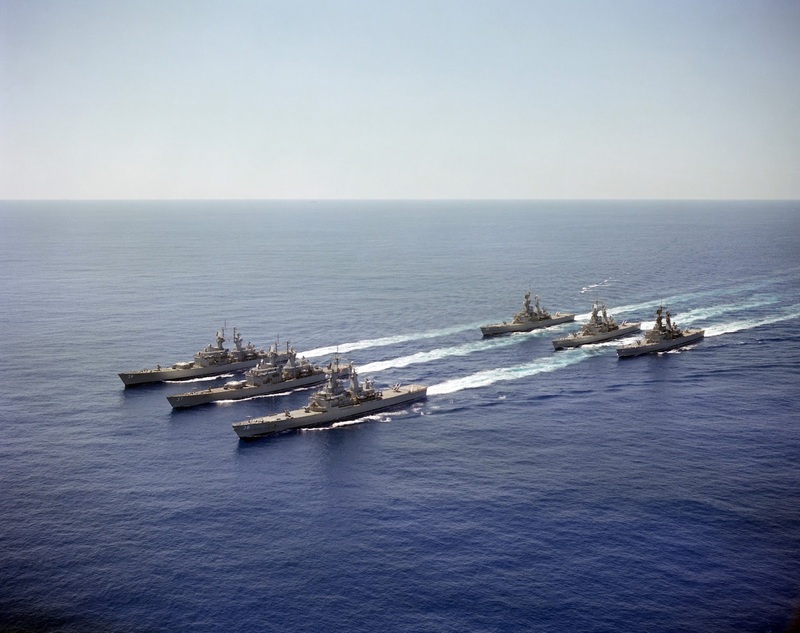 These ships were followed on by the four nuclear-powered cruisers of the Virginia class. 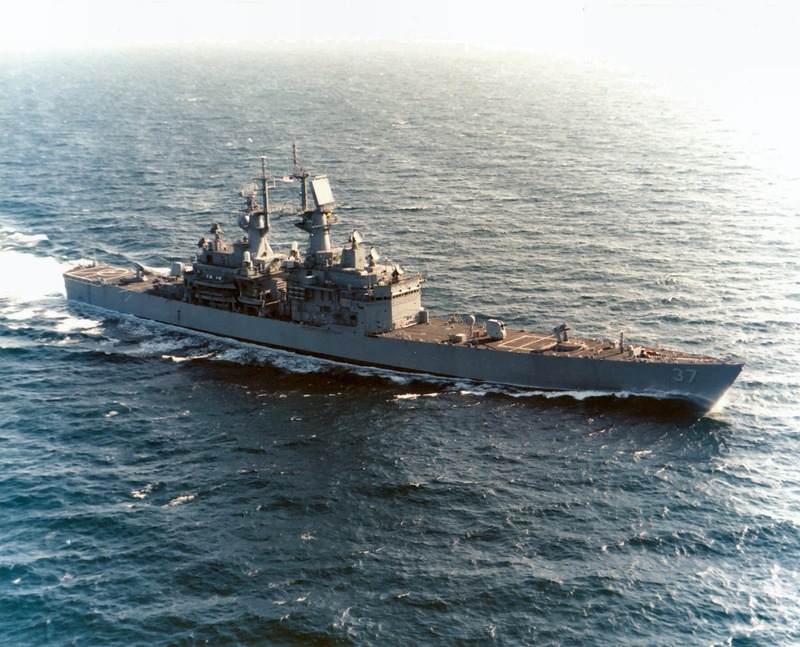 These six cruisers were named for states because they were seen as quite large, powerful, capable, and survivable ships. 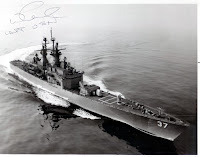 USS California (CGN-36), the lead ship of the California-class of nuclear-powered guided missile cruisers, was the seventh warship of the United States Navy to be named for the State of California and the first non-battleship ever to be named after a state. 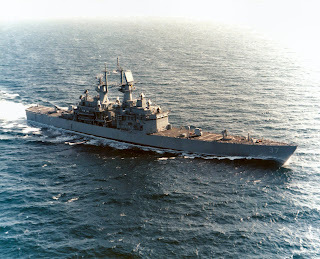 USS California was the fourth nuclear-powered cruiser in the U.S. Navy; the previous three were the USS Long Beach (CGN-9), USS Bainbridge (CGN-25) and USS Truxtun (CGN-35). 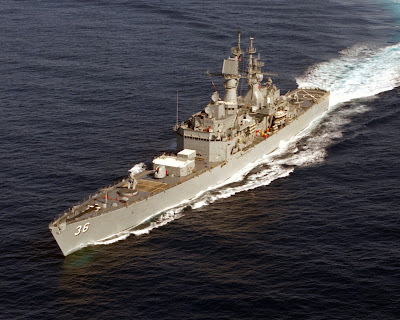 The second California class cruiser, USS South Carolina (CGN-37), was the fifth nuclear-powered cruiser in the United States Navy. 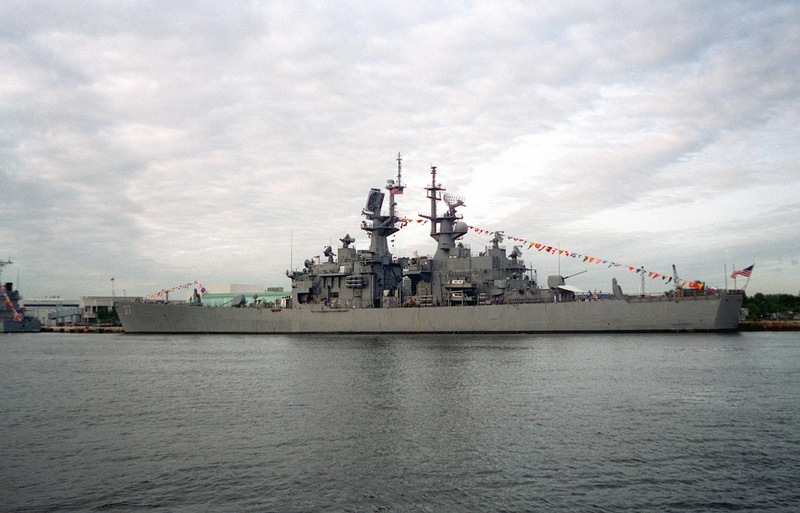 Modified photo of a California class cruiser of the U.S. Navy before the final refit. For a high resolution image click here. The nuclear-powered engineering plant allowed the nuclear-powered cruisers to conduct operations over extended periods of time anywhere in the world. 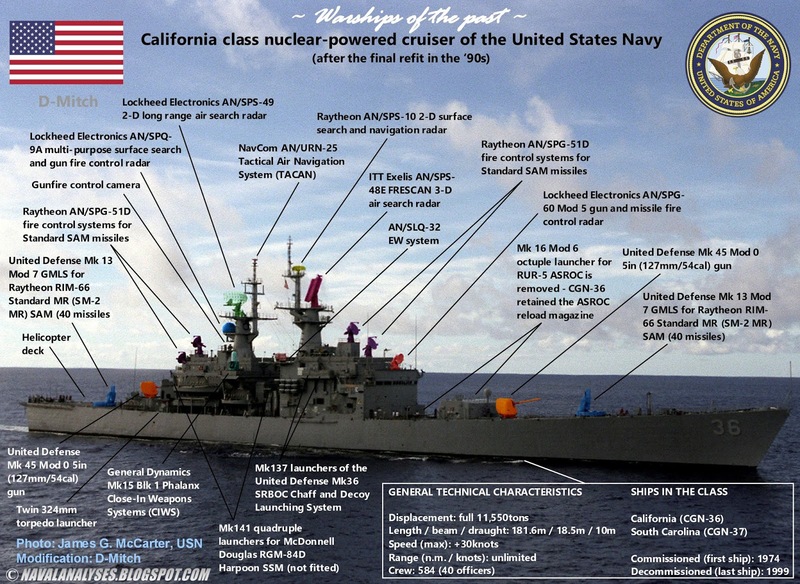 The two propulsion plants of Californias for example allowed sustained speeds in excess of 30 knots (nautical miles per hour) all over the world! 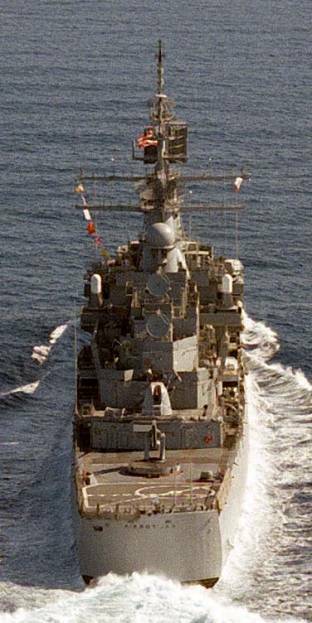 Moreover, the ships of the class, had the new version of the D2G reactor whose core had three times the life of that fitted on Truxtun. 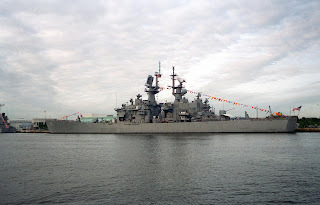 Other than the four ships of the Soviet Navy's Kirov class, which were actually built with a combination of nuclear and fossil-fuel propulsion, no other country has launched nuclear-powered cruisers. 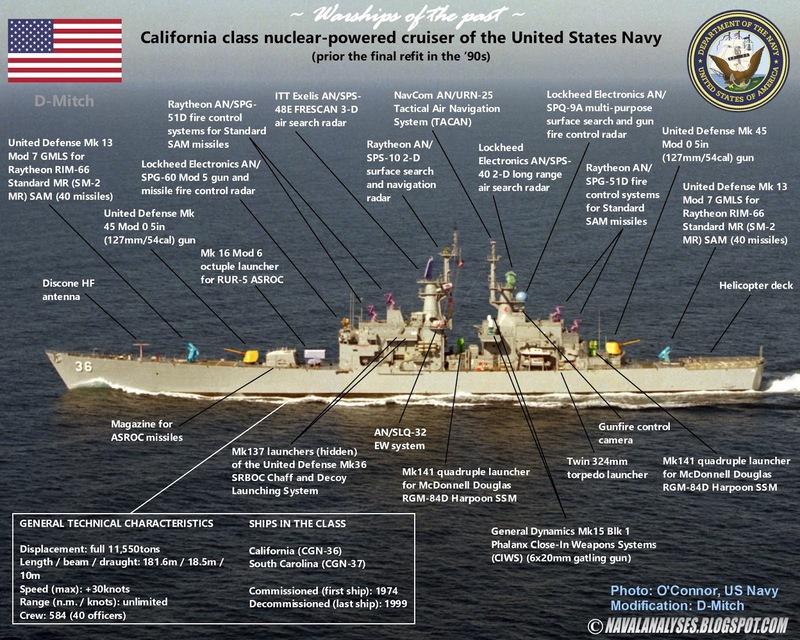 The United States built in total nine (9) nuclear-powered cruisers (Long Beach, Truxtun, Bainbridge, the two Californias and the four Virginias). The six Virginias and Californias in formation. Californias were designed to combat all threats, in the air, on the surface, and underwater. To aid in accomplishing their assigned tasks, these ships were equipped with an extensive array of weapons and sensors. 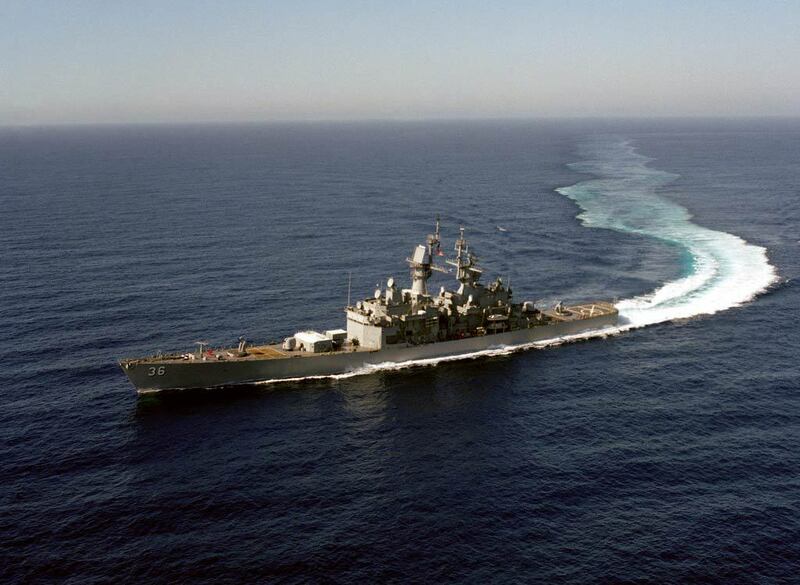 USS California and her sister ship, USS South Carolina, were equipped with two Mk-13 launchers, fore and aft, capable of firing the Standard SM-1MR (Medium Range) or SM-2MR surface-to-air missiles (SAM), one Mk-16 launcher for Anti-Submarine ROCkets (ASROC), and two quadruple Mk-141 launchers for Harpoon surface-to surface (SSM) missiles. The new Mk-13 launcher could not launch the ASROC so a separate launcher and magazine were required. 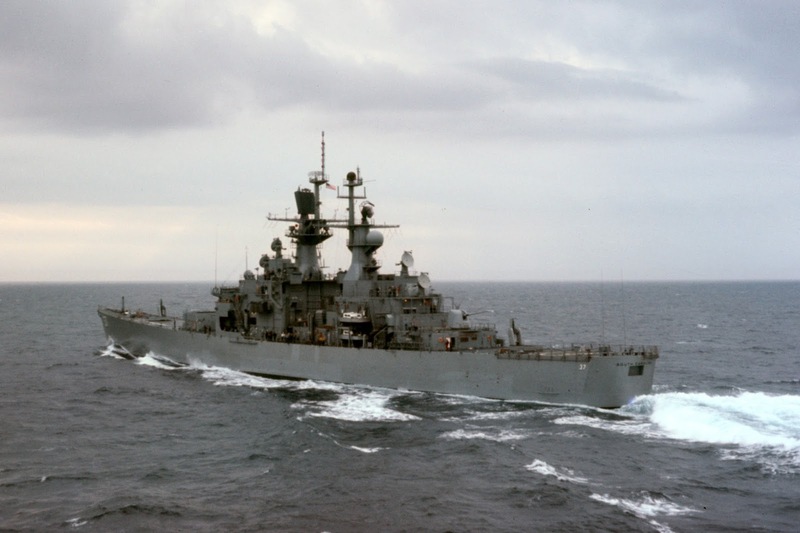 They were equipped with two Mk-45 5in dual-purpose rapid-fire guns, fore and aft. 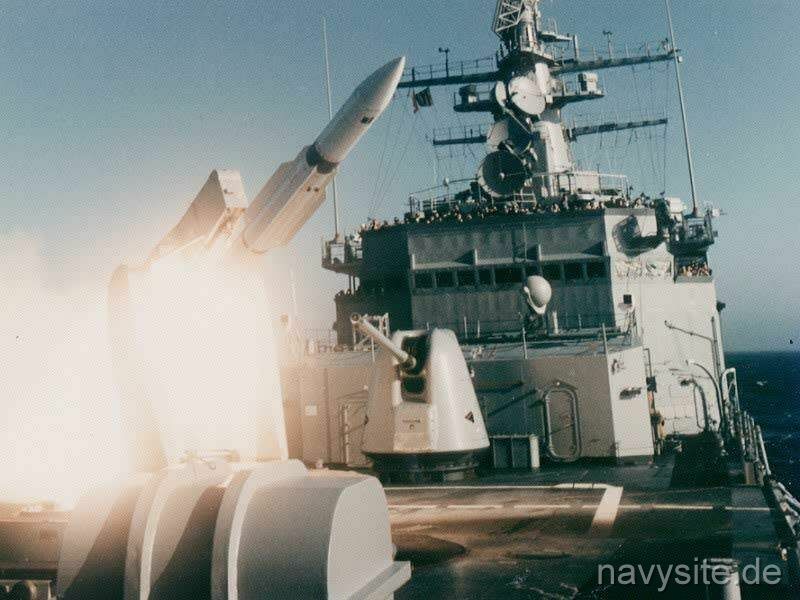 California was the first ship to mount the new lightweight 5in gun and the first ship to mount the new digital missile fire control radars. Four 324mm torpedo launchers (two on each side, protruding from their magazine space on the main deck) were fitted for Mk 46 light weight anti-submarine torpedoes. 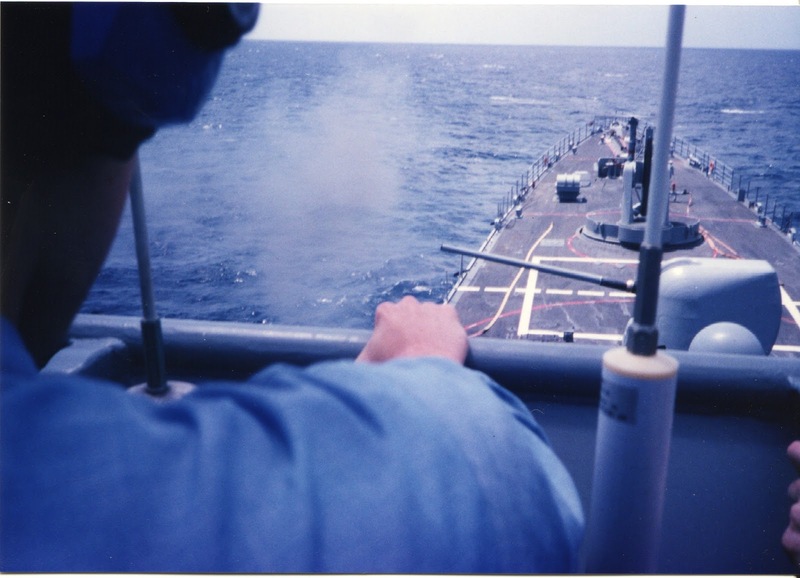 The ships also were originally designed to carry and launch the Mark 48 torpedo from a large space beneath the flight deck aft. Although a surface-launched version of the Mk 48 was never produced, the ships retained this large magazine space until their retirement. 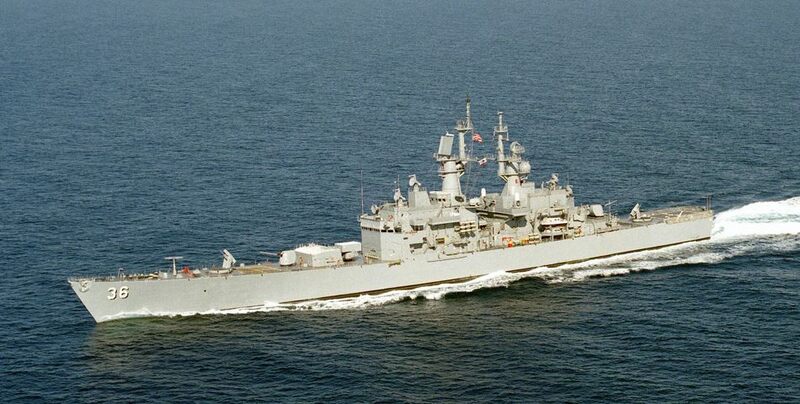 Two Mk-15 Phalanx 20 mm Close In Weapons Systems (CIWS) were fitted in the 1980s. Modified photo of a California class cruiser of the U.S. Navy after the final refit. For a high resolution image click here. 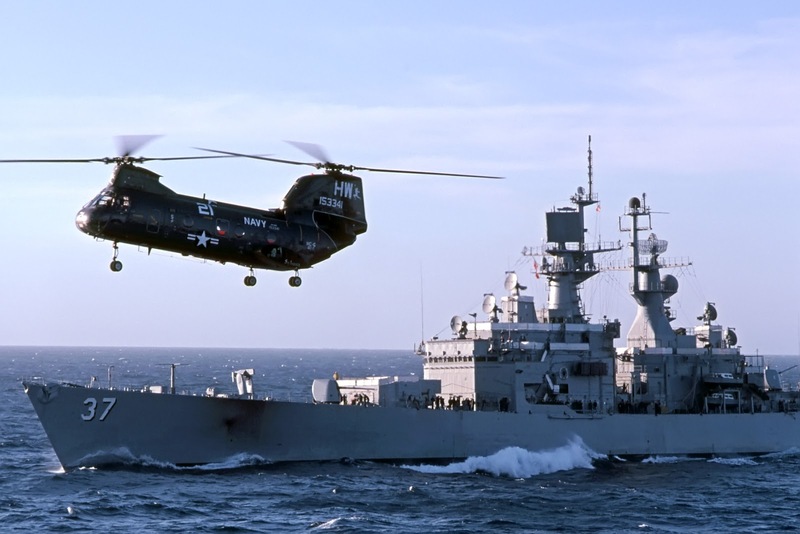 A variety of sensors and radars were included in their electronic equipment including passive electronic surveillance and jamming systems unequaled by any other cruiser in the Navy that time. 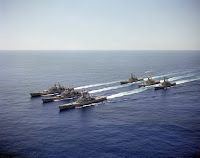 These weapons and sensors gave them the ability to attack and defend against targets that were over 70 nautical miles away while been able to protect themselves from close range attacks. However, the two ships had a major disadvantage: they did not have a helicopter hangar, just only a landing pad aft and basic refueling equipment. 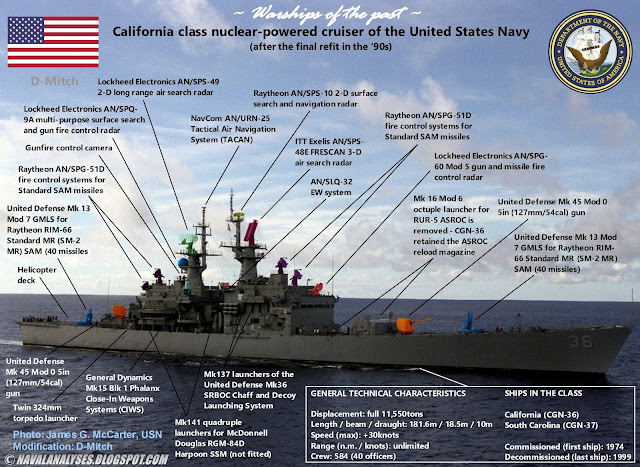 California's superstructure. Notice the AN/SPS-40. 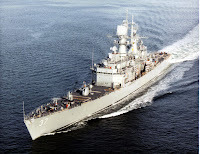 Both ships underwent a mid-life refueling overhaul in the early 1990s to give them a further 18 years active service. 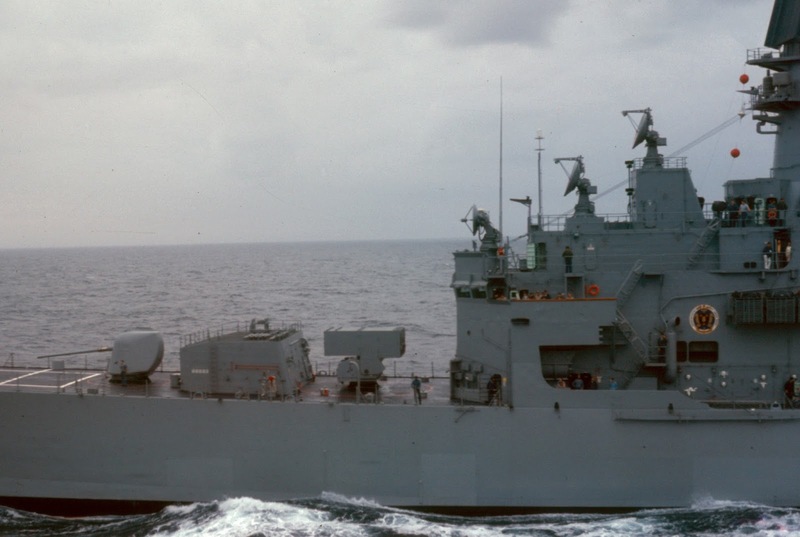 This modernization upgraded their two 150 MW D2G reactor plants with new 165 MW D2W reactor cores, installed the New Threat Upgrade (NTU) to improve their AAW capability, and removed their ASW capability, which involved disabling their SQS-26 sonar and removing their ASROC anti-submarine weapons. 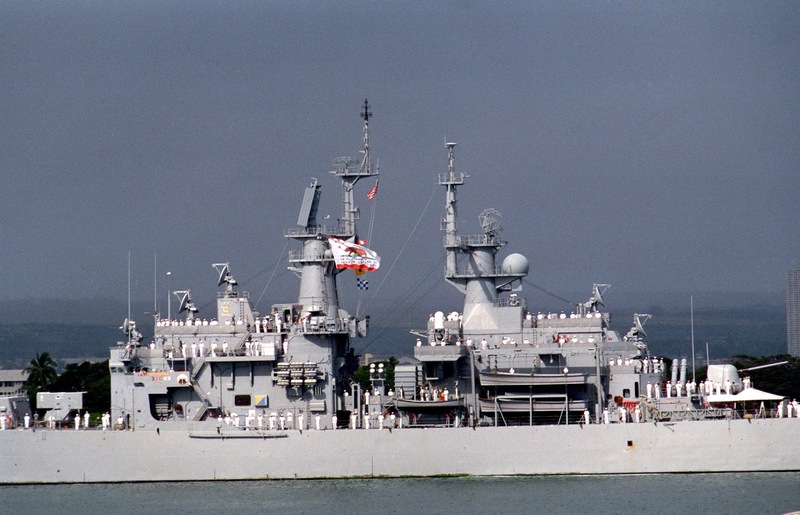 External differences resulting from this modernization included the removal of the ASROC launcher and the large deckhouse forward of it that served as the ASROC magazine (California retained the magazine), replacement of the SPS-40 radar antenna with the SPS-49 antenna, and replacement of the SPS-48C with the larger SPS-48E antenna. 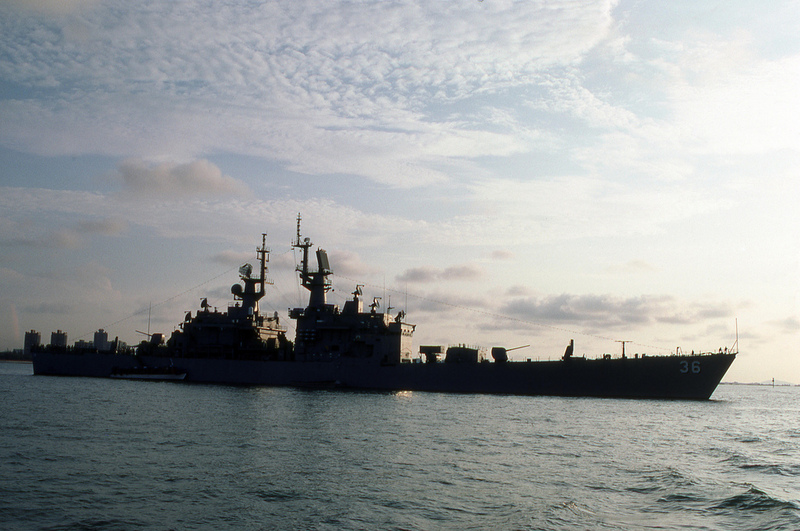 Both ships retained the bulbous sonar domes at the forefoot (beneath the waterline) until retirement, even after their sonar systems were disabled. USS South Carolina after her final refit. 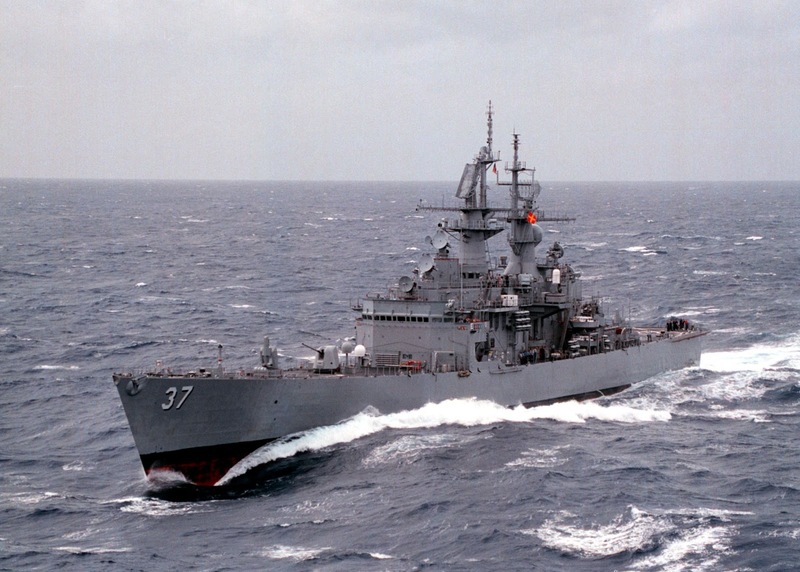 While the ships were as modernized as much as possible, and were capable of service until 2010; they still were only capable of firing SM-2MR missiles from their Mk-13 launchers (and not the SM-1 Extended Range missiles), the requirement for large crews and their high cost of operation made them targets for early retirement, and were both decommissioned in July of 1999. They were the last nuclear-powered cruisers of the United States Navy to be decommissioned. 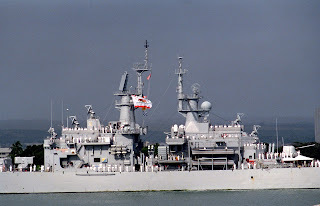 California was the best ship that I ever served on. 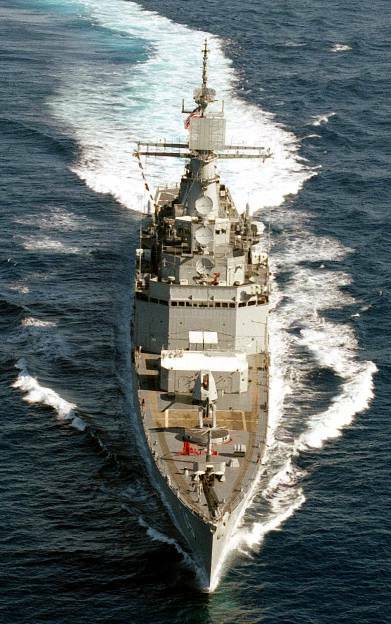 Spent 4 years on her and was a leading crew chief for her decom. Nice! 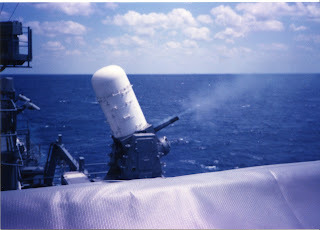 Any photo from your service, particularly of those torpedo launchers?